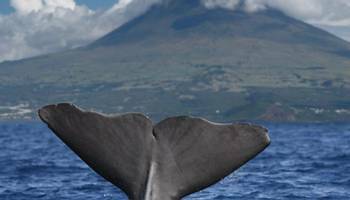 Few people know much about this far-flung archipelago in the middle of the Atlantic - yet few places in Europe offer better cetacean watching! 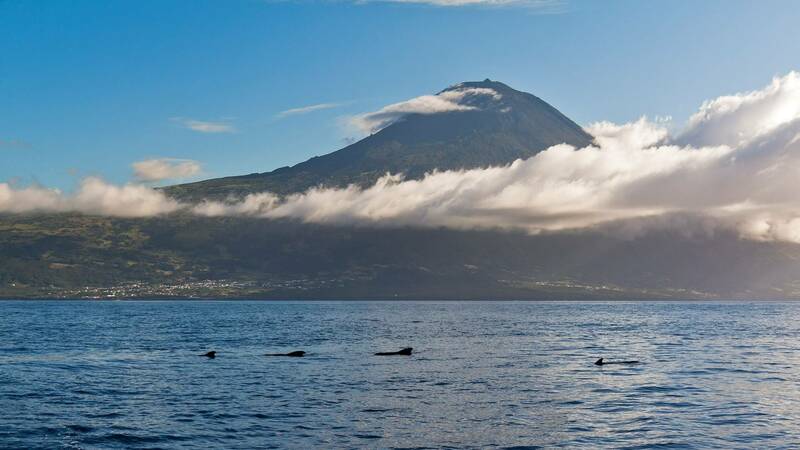 If that wasn't tantalising enough, the Azores offer both delicious local cuisines (the soft Pico cheese, served with honey, being a particular favourite) and wines - all of which we will have plenty of opportunity to enjoy during our time here! 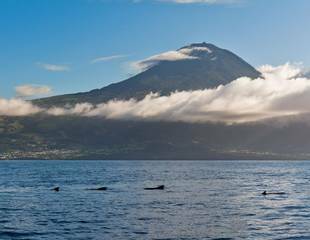 The Azores archipelago consists of nine volcanic islands, and stretches for more than 600 kilometres midway between Europe and North America. 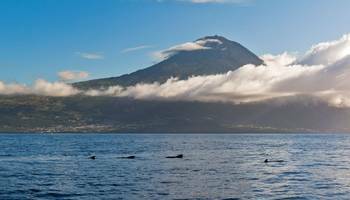 Its highest point is Mount Pico at just over 2,350 metres. It has a mild oceanic climate and the surrounding seas are warmed by the Gulf Stream. 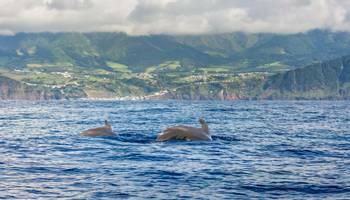 The islands shelve steeply into the sea, creating an underwater topography that is perfect for attracting deep-diving whales. 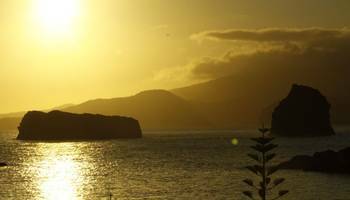 These are friendly, attractive and unspoilt Atlantic islands which combine a relaxed atmosphere with an interesting natural history and geology. 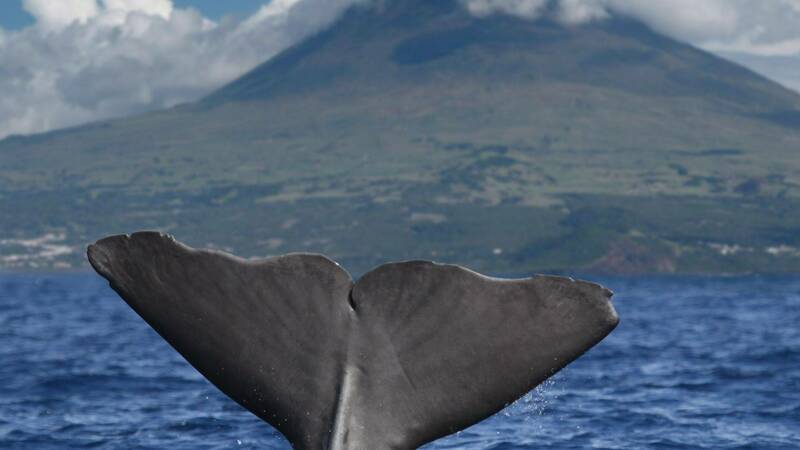 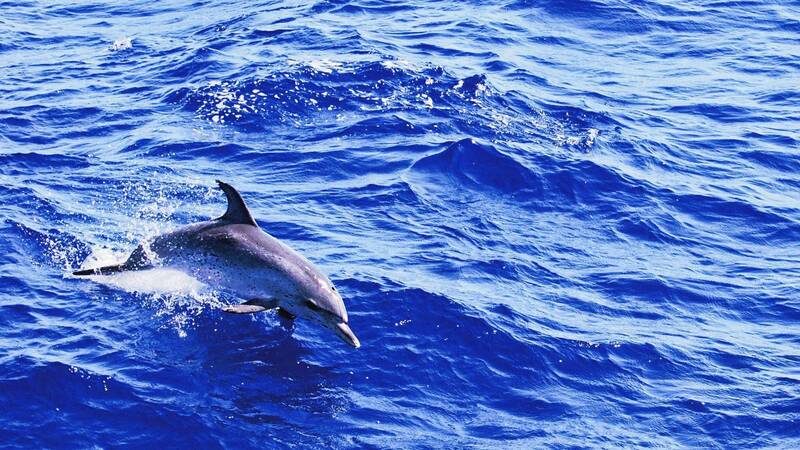 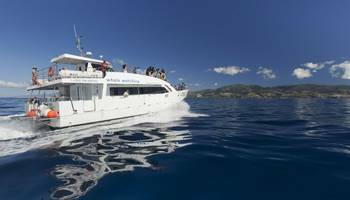 We offer three holidays to the Azores: two dedicated whale and dolphin watching tours on Pico (May and August), and one dedicated whale and dolphin watching tour in Sao Miguel. 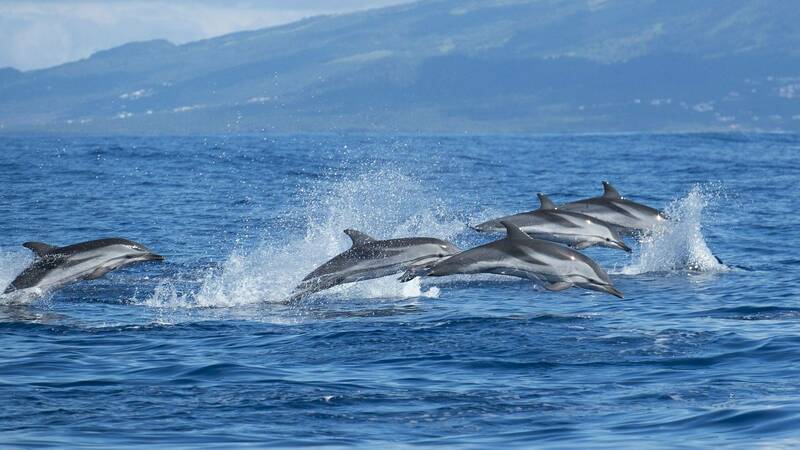 Islands often harbour unusual wildlife and the Azores are no exception. 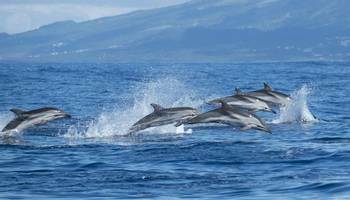 While the islands are home to some interesting bird and plant-life, some of their marine-life – in particular the whale and dolphin-watching – is world-class. 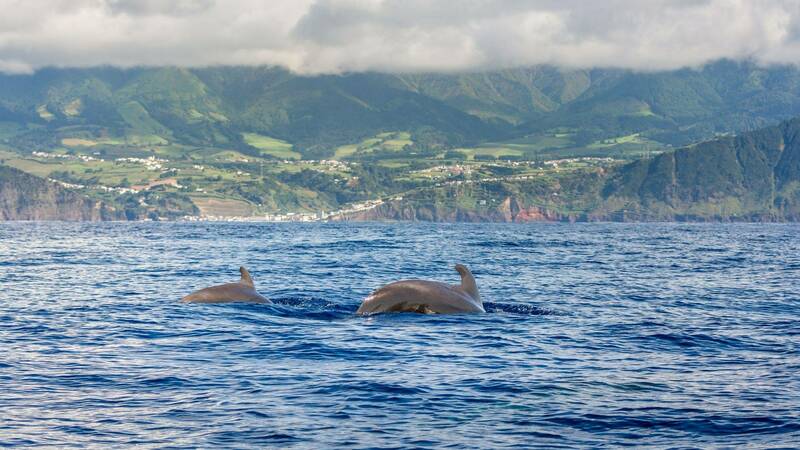 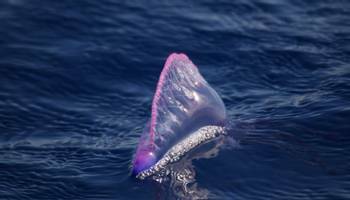 27 species of cetacean (whales, dolphins and porpoises) have been recorded in the waters around the Azores, including Sperm Whales, Blue Whales, many dolphin species and some of the elusive beaked whales. 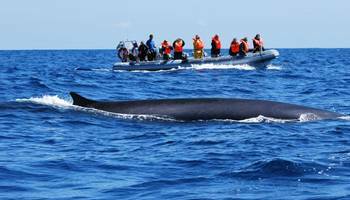 Our tours depart in May and August - the weather can be variable in May; however, this time of the year represents your best chance of seeing baleen whales such as Blue, Fin and Sei Whales as they pass through Azorean waters on their annual migration. Sperm Whales and several dolphin species are present throughout the year. 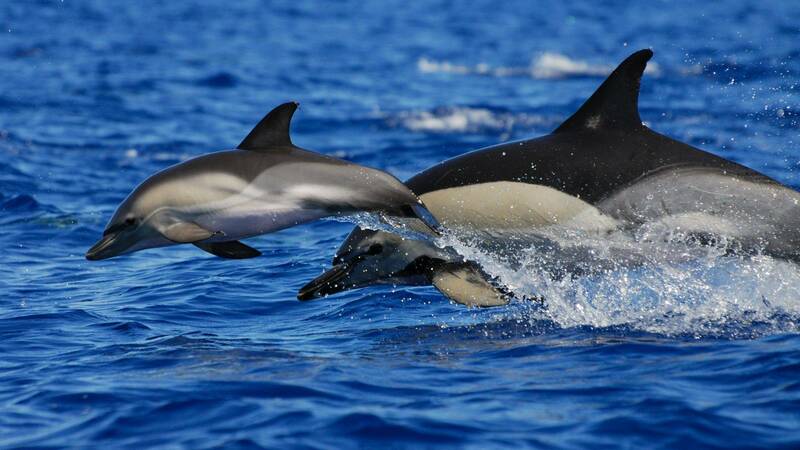 Spring and autumn are the best months for seeing passage birds. 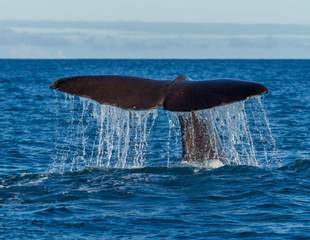 August typically offers more settled weather, with temperatures reaching highs of about 25ºC, and at this time of year Sperm Whale mothers and calves are present, as well as many dolphins, beaked whales and other marine-life such as flying fish, turtles and Blue Sharks. 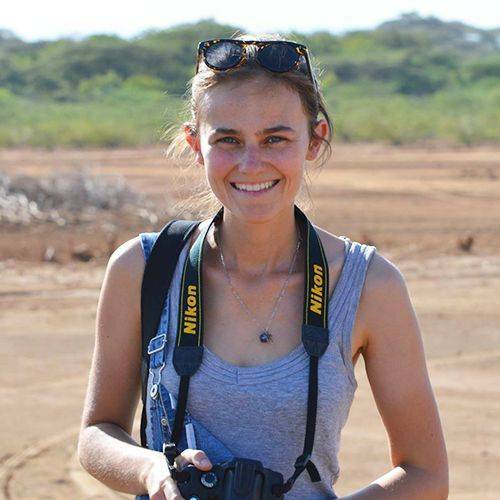 Cory’s Shearwaters may be seen on nests. 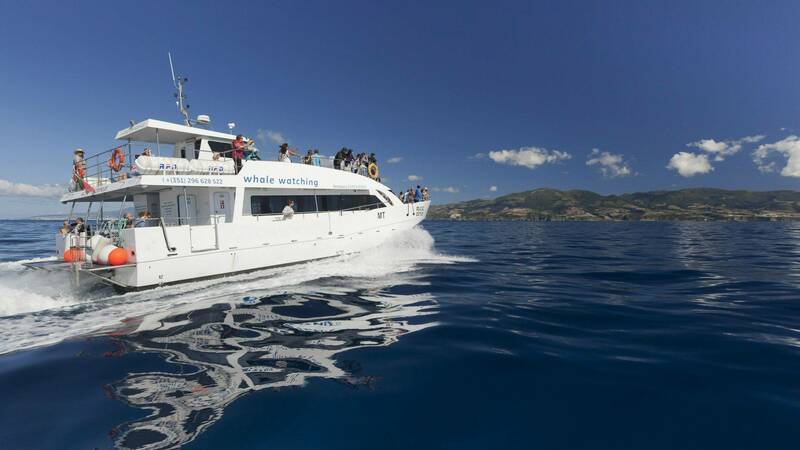 • On our August whale & dolphin watching holiday in Pico, we’ll have the privilege of watching family groups of Sperm Whales with their calves, and an abundance of dolphin species - typically: Atlantic Spotted, Short-beaked Common, Bottlenose, Risso's, and Striped Dolphins. 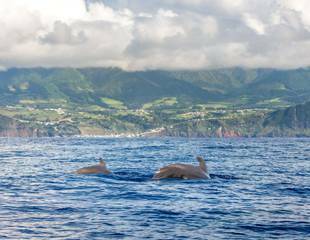 "I recommend our ‘Whales & Dolphins of the Azores’ tour where we go in search of Sperm Whales and host of other cetacean species around this spectacular archipelago."